There are second acts in American lives. This is the story of mine. In 2003, I made a massive change and ended my psychic healing career so that I could return to college and study the social sciences. At that time, I pulled all of the books I controlled out of print (the wonderful people at Sounds True followed suit, because they cared more about me as a person than they did about book sales). However, one book remained. 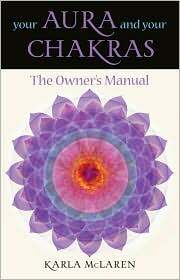 It’s called Your Aura & Your Chakras: The Owner’s Manual, and the publisher of that book didn’t want to let it go. 2018 update: That publisher has finally agreed to let this title go out of print, thank goodness. A note from the author: This book, written in 1997, represents an early version of my work with empathic ability, trauma healing, and the channeling of emotions. I have since moved completely away from metaphysical concepts, and I now understand that my empathic ability is neither psychic nor paranormal. Empathic skills like mine are considered unusual because people are very confused about emotions; strong empathy can look exactly like a psychic skill. However, empathy is a normal attribute present in all humans and many animals. After a seven-year sabbatical that included extensive research and a degree in the social sciences, I resumed my public career in 2010. My work is now focused on teaching empathic mindfulness skills that help people interpret the messages and gifts inside their emotions so that they can increase their empathy and emotional awareness. While the particulars of my work have changed considerably, the essence is identical now to what it was then: I want all of us to live as intelligently, as compassionately, and as deeply as we can. Okay. I no longer include metaphysical or paranormal concepts in my work, so let’s look at that. I no longer include ideas about aura, chakras, chi or prana energy, psychic abilities, reincarnation, the afterlife, ghosts and spirits, and so forth. See the bottom of the page for more complete definitions. If you’re very invested in metaphysical and paranormal explanations of the world, you get to keep them. I’m not here to change your mind or suggest that you’re not thinking clearly if you believe different things than I do. For me, after more than thirty years in the New Age, I needed to look at alternative explanations for things that have been attributed to paranormal or mystical causes, and this is what my thinking is now. It’s been a long and intense decade, and after studying the strong proponents (of paranormalism) and the strong naysayers, I’ve turned away from both positions because I find them to be insufficient. I don’t like polarization in any case, but for a topic as vast and important as this one, I require a more nuanced middle path. What I’ve found is that focusing on what IS happening during seemingly paranormal experiences is thousands of times more interesting than either believing in them without question or negating them without consideration. If you look at these phenomena with serious, empathic, open-minded, scholarly intent, you find out so much about the brain, the social world, perception, and human nature itself. The old, tired views of psychic-vs-fraud, or mystical experience-vs-hallucination are completely unhelpful — because as so many of us know, our seemingly extrasensory perceptions are often amazingly intense, insightful, unusual, wise, funny, and meaningful! These experiences need to be approached sociologically, anthropologically, empathically, ethnographically, and seriously — but since no one is taking these approaches, I’ll work on my own. My approach is not to simply naysay mystical or paranormal experiences or ideas; rather, it is to try to understand what these experiences mean to people emotionally, culturally, and so forth. Also, what do these experiences mean neurologically? What is occurring? As I studied the lived experience (mine and others) of the chakras and the aura, I worked to understand and articulate what it is that people sense. I found no authoritative scientific evidence in support of the chakras, but I find it fascinating that the chakras are located at the sites of many of the endocrine glands. I find it amazing that ancient peoples discovered something about the endocrine system (centuries before the endocrine glands were identified) and created a framework to understand their bodies and themselves. I enjoyed working with the chakra framework because it gave people an instant way to begin to tune into themselves on many different levels. By working with the idea of the chakras, people could access information about their emotions, their intellect, their capacity to love and be loved, their communication skills, their connection to spirituality, and so forth. It was a very helpful way to tune into the knowledge we all have about ourselves, and I found that it could help people become clearer about their inner lives. Chakra work also helped me to re-integrate a psyche (mine) that had been torn apart by early childhood sexual assaults. My early work with other abuse survivors relied heavily on the construct of the chakras as we pulled our fractured and dissociated selves back together. Conventional psychotherapy has nothing similar to this process, and because my work with chakras was essentially somatic (body-based and integrative), it really helped people reintegrate and heal. That’s wonderful. However, I’ve found that I don’t need the construct of the chakras in order to tune into my inner life now. I can just ask myself about my emotions, my physical health, my intellectual life, my sensual life, my capacity to focus and ground myself … I’ve been able to cut out the middle man and not have to rely on the metaphysical idea of the chakras. I question, though, if I could have developed this highly articulated sense of self-awareness without the construct of the chakras? What other construct works this way? I also found that working with my chakras helped me develop a very strong interoceptive capacity — which is the ability to feel, sense, and be aware of the processes of my body (including hunger, thirst, emotions, pain, thoughts, bodily temperature, etc,). In an April, 2012 issue of Scientific American Mind, I took a test of interoceptive ability, where you count your own heartbeats simply by feeling and listening (you don’t put your finger on your pulse, you just sit and count), and I found that I was right on the number. I can’t help but think that all of the time I spent meditating on and listening to my body and the areas where I imagined my chakras to be helped me develop an excellent sense of my internal milieu. So although I have left the idea of the chakras behind, there’s a blessing that needs to be given to the idea of the chakras. It was a very useful idea, and its help in re-integrating me and many others was deeply healing. Fascinatingly, the aura actually does exist, but instead of being a paranormal or energetic concept, it is actually a neurological, sensory, and muscular reality. Your body, your brain, and your musculature create a sense of personal space around you in your every waking and sleeping moment. 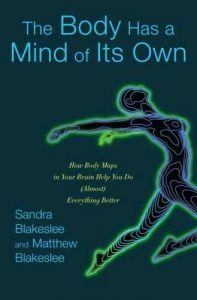 There is a wonderful book by science writers Sandra and Matthew Blakeslee called The Body has a Mind of Its Own. It’s about the proprioceptive system that maps our bodies in space and creates our external “peripersonal” space (your proprioceptive system is connected to your interoceptive system; proprioception helps you map and become aware of your external, peripersonal space, while interoception helps you map and become aware of your interior space). And as psychologists noted long before the neurological concept of proprioception was understood, the peripersonal space we have around us is exactly the size of a healthy aura (18 to 30 inches from the body in all directions). So, like the chakra construct that predated the understanding of the endocrine and interoceptive systems, the aura construct predated the understanding of the peripersonal and proprioceptive systems. What I’ve noticed in people who work with the construct of the aura is that they often become very body-aware and space-aware — more graceful, focused, and nimble. This makes sense, since they’re focusing on the system that helps them map their bodies in space. In general, they also become more interpersonally and interactionally aware, because as their sense of self “expands” to that 18- to 30-inch area around themselves (and they learn where they begin and end), they tend to become more sensitive about and responsive to the people in their lives. I continue to rely upon this peripersonal space in my work with emotions and empathy, because it’s a crucial idea that helps people work more skillfully with their emotions and their empathic awareness of themselves and others. Working with the aura has very real positive effects — even though the aura as we once represented it (as a colored energy field that was metaphysical in origin) is not real. What fascinates me is how much truly important psychological healing I and others were able to do with the metaphysical idea of the aura. We humans have a brilliant imaginal intelligence (I use the word imaginal rather than imaginary, because clearly, the constructs underlying the aura and the chakras are very real), and imaginal concepts can be so much more valid and truthful than merely factual information is. For instance, if you’ve ever found a perfect analogy or image that represents a difficult-to-explain situation, you’ve accessed your imaginal intelligence. And it is this imaginal intelligence that helped people create the construct of the aura before the peripersonal space was identified. It also helped people create the construct of the chakras before the endocrine system was identified. The imaginal capacity of humans is astounding. So the skills that I developed worked very much within the imaginal realm that we all utilize and understand intuitively. Meditation and prayer rely upon imaginal intelligence, as do art, music, dance, drama, fiction, architecture, philosophy, and any sort of visionary work people do. I’m still using those imaginal skills, especially in the work I do with the emotions. Our emotions respond strongly to nuance, subtext, undercurrent, intention, and the kinds of imaginal, underground knowledge we all have about the social world but cannot easily articulate. I call myself the proto-empath, because my 1997 book Rebuilding the Garden was the first book to introduce an empath as a special kind of psychic. If anyone calls themselves an empath today, they are following me (or Star Trek, which is even better). But if they think they’re psychics or exalted people because they’re empaths, they’re 15 years out of date. I once thought of empathic skills as psychic or paranormal, because honestly, they can seem nearly magical. Since I walked away from metaphysical and paranormal ideas in 2003, I’ve come to understand empathic skills very differently. Empathy is a social and emotional skill that helps you feel and understand the emotions, circumstances, intentions, thoughts, and needs of others, such that you can offer sensitive, perceptive, and appropriate communication and support. An empath is someone who is aware that he or she reads emotions, nuance, subtext, undercurrent, intentions, thoughts, social space, interactions, relational behaviors, body language, and gestural language, while a hyper-empath is someone who reads these things to a greater degree than is deemed normal. Absolutely everyone is an empath. Empathy is our capacity to engage and relate, and everyone is empathic (many animals included). There are of course varying degrees of empathy, but empathy is not a special or paranormal skill. Everyone is an empath. When you can read nuance, undercurrent, unsaid words, body language, emotions, context, subtext, and the interactional calculus that exists within and between people, you can seem to be channeling information from some secret realm. In fact, you are — but the secret isn’t mystical or paranormal. Instead, it’s emotional and social. Our very poor emotional and empathic education (if you can even call it that; miseducation or non-education might be better words) means that useful information about emotions and empathy is hidden from us. Anyone who understands emotions and empathy seems magical because they’re working in a mysterious realm. People’s emotions and motivations can be absolutely puzzling to them, and people can easily grow up learning about everything BUT their emotions, as the presence of the Wonder Weasels and Lesser Weasels illustrates. People who are skilled with emotions are very valuable in a culture that is deeply, deeply confused by emotions. In fact, we pay people to help us understand emotions — not just therapists, counselors, and psychiatrists. We also pay people who can emote skillfully, like actors, writers, musicians, dancers, and artists. Emotive and empathic skills are very special; they’re just not paranormal — and my work today is about helping people connect to their innate (though usually hidden) emotional and empathic intelligence so that they can share in the secret world of emotional and empathic awareness. To be clear: Empathy is not a metaphysical or paranormal skill, and an empath is not a psychic. It is very easy to mistakenly attribute empathy to the paranormal (as I did for 30 years until I figured it out), but it is also very wrong. 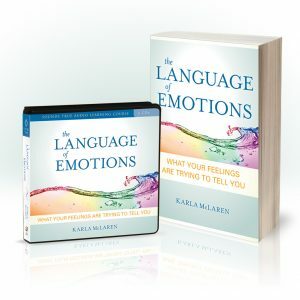 As I returned to my career in 2009 to update my 2001 book Emotional Genius, (this book is now called The Language of Emotions: What Your Feelings Are Trying to Tell You, 2010), I looked very critically at the meditative skills I’ve relied upon throughout my career. These skills are are focusing, grounding, boundary-creation, self-soothing, emotional-awareness, behavioral-change, and self-replenishing skills, and they’re honestly crucial to well-being. I didn’t want to approach a topic as potentially difficult as the emotions without a strong set of skills for readers, so I researched each of my skills in terms of what was actually being accomplished through their use. Luckily, I found that most of them were valid, and that none required metaphysical or paranormal constructs. Excellent! I now call them the Empathic Mindfulness practices. The grounding and focusing practices I teach are easy ways to access your interoceptive abilities, as are my skills Burning Contracts, channeling your emotions, and rejuvenating yourself with peaceful and revitalizing sensations. Self-soothing and self-awareness skills are vital to your health and your relationships. And the work I now do with the proprioceptive territory (which I once thought of as the aura) is vital to helping people become self-aware and other-aware. These skills help people become capable of working imaginatively and empathically with their emotions, thoughts, ideas, and behaviors. So I’ve refocused my work and removed the paranormal and metaphysical aspects, because they’re not necessary. More importantly, I don’t want people to have to set aside their logical and scientific capacities so that they can access my work on emotions and empathy. I’d rather they were thinking with all parts of themselves. It’s more fun anyway. So that’s the story now. I’m continuing my research into emotions, empathy, education, communication, autism and neurodiversity, micro-sociology, linguistic anthropology, disability studies, and the “hidden curriculum” of social expectations we all have for each other but can’t quite articulate. For me, leaving behind my metaphysical and paranormal beliefs was quite a shock at first. But now that I have a grounded framework for understanding these beliefs, I’m having a great deal of fun studying them, thinking about them, and reframing them. I send you non-binding and non-denominational blessings of every kind. *Definitions for clarity: Spirituality is widely defined as anything that involves religion, gods, deities, the afterlife, reincarnation, or the “other world.” Many people make a distinction between the cultural construct of religion and the worldwide phenomenon of spirituality, which encompasses all religions and supernatural belief structures. The New Age refers to an entire movement that first arose in the late 1800s, and includes splinter Christian beliefs such as Christian Science, Religious Science, Science of Mind, and Unity – and splinter Eastern philosophies such as Theosophy, Anthroposophy, Western Buddhism, Transcendental Meditation, and so forth (Jungian and Reichian psychotherapies are also in the New Age category). Alternative medicine also became popular at this time, along with homeopathy, Christian Science, and Theosophy, as did fasting, purging, miracle foods, restrictive diets, intense exercise, and health retreats. Metaphysics is a subset of the New Age that encompasses belief in the aura, chakras, chi or prana energy, psychic abilities, past lives, reincarnation, astrology, spirit guides, ascended masters, extraterrestrial beings, and cosmic energies that are thought to influence humans or contribute to their healing. Western versions of Shamanism, which is a metaphysical and spiritual belief system spanning numerous cultures, is a later addition to the New Age. The paranormal is anything outside the normal, yet in this context, it refers to metaphysical ideas about energy, psychic abilities, the afterlife, ghosts and spirits, UFOs, alien visitations, cryptozoology, and many ideas about ruling cabals and secret societies. To be clear — I no longer consider any of these ideas to be true in the literal sense, though I know that they can feel very true. My approach now is to understand what is happening when people have mystical experiences, and this has led me into fascinating areas of study. In my research, I have found aspects of rituals, altars, and shrines to be important in healing, but I have found that they do not require a literal belief in religious, spiritual, metaphysical, or paranormal ideas in order to be effective.